We all get warnings, it's up to us whether we heed them or not. The last few months I had been ignoring all sorts of warnings in various aspects of life. 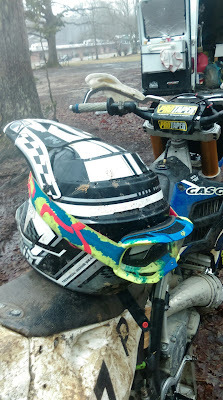 I didn't think much of it during last Sunday's rainy solo woods ride when I took my goggles off so I could see. 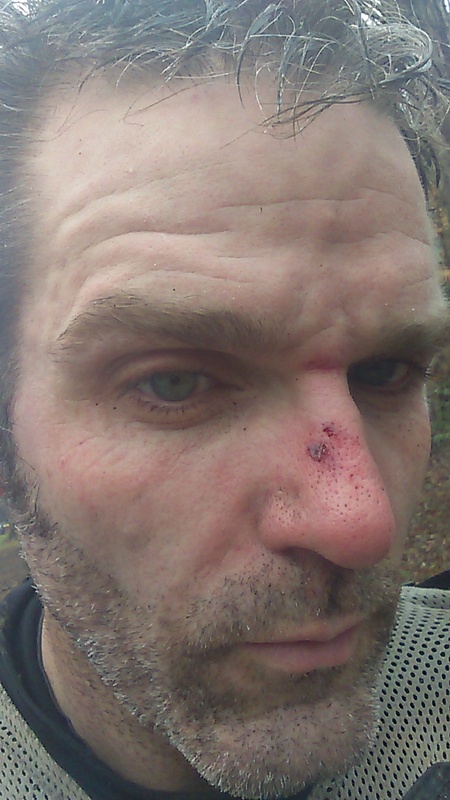 Five minutes later I was given a nasty, but merciful reminder when my front wheel caught a 1" sapling and turned it into a whip. And where did this whip land? Squarely on the the part of my body that was no longer covered with protective gear. My nose. Hurt like hell and I had to stop for a minute until the tears cleared, but it could have been worse. A lot worse. I could be typing this looking out of one eye. We ignore the warnings at our own peril. Listen to them. A mere inch from partial blindness. Stupid. Not much good in this position, are they?